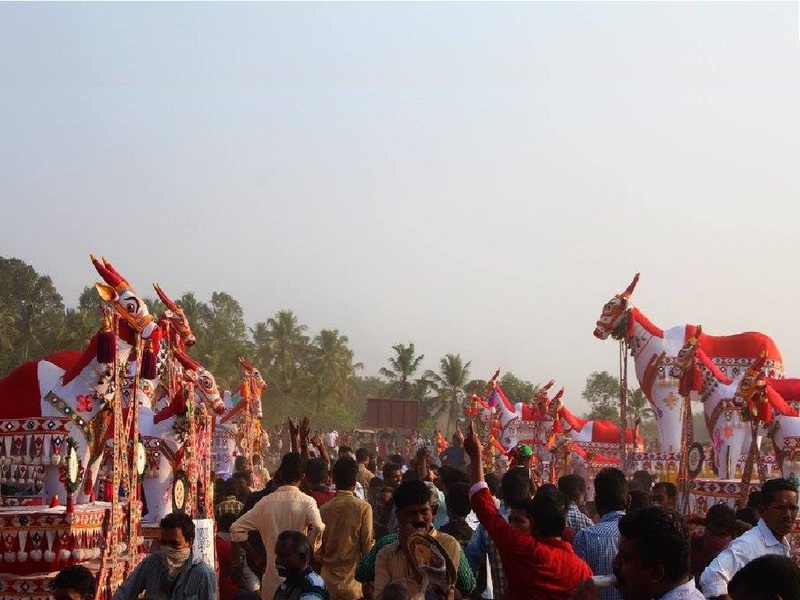 Poruvizhy Peruviruthy Malanada Temple, located in Kollam, is also noted for the annual event called Malanada Kettukazcha or Malakkuda Mahotsavam. 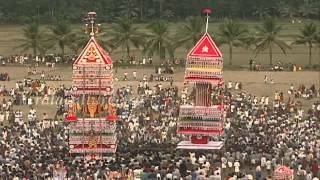 This eight-day festival is celebrated starts with a kodiyettam (ceremonial flag hoisting) on first of Friday of the Malayalam month of Meenam (Mid March) and Malakkuda on the second Friday of the same month. 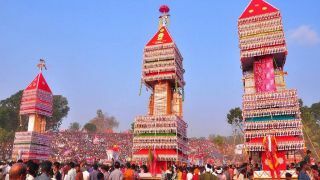 It a one-day festival celebrated in the month of March. 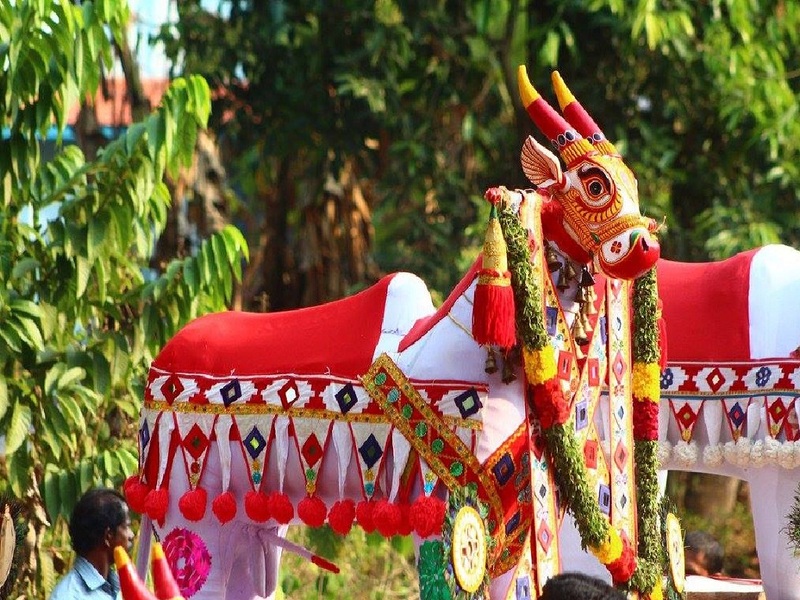 Malakkuda Mahotsavam procession is a fascinating sight in which decorated structures of bull (Edupu kala) and horses (Edupu kuthira) are taken out to the accompaniment of traditional orchestra of drums. 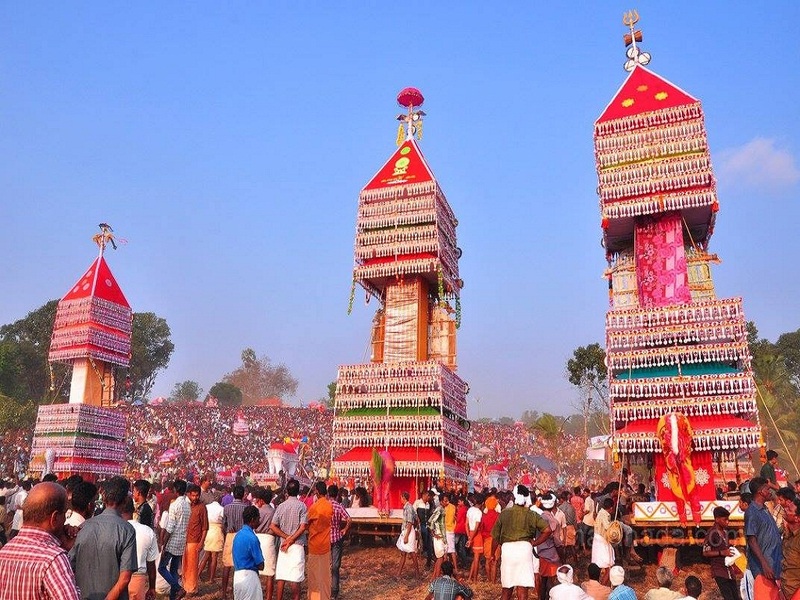 Some of these structures are 70 to 80 ft tall and they are made in a competitive spirit by the people of the surrounding villages. The structures are either carried on the shoulders or taken out on chariots. 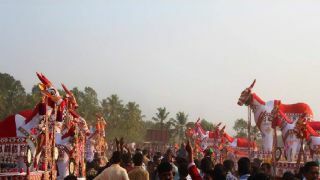 The event attracts large number of devotees every year. 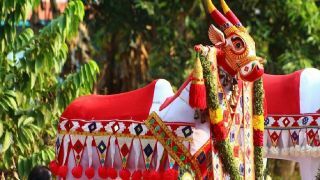 Poruvazhi Malanada Temple is that place where the worshipped figure is Duryodhana the antagonist in the Indian epic Mahabharata. Not just this; the temple doesn't have an idol or a sanctum sanctorum.